Boom! Tigers Snag 3-Star Linebacker Octavius Brothers! Travis Williams swung for the fences this cycle. He hit a home run in 5* Owen Pappoe but then struck out on 4* Trezman Marshall, 4* Kalen Deloach and 4* Tyron Hopper. However, in the fall, the Tigers stumbled onto 3* Octavius Brothers’s tape and fell in love. 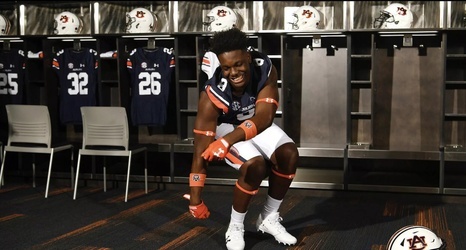 He quickly became one of the top remaining targets and Auburn hosted him on an official visit in January. That OV solidified things for both sides and today, he formally announced his intentions to be an Auburn Tiger. Once a UCF commit, Brothers was coveted by ACC programs Georgia Tech, North Carolina and Miami with the Tar Heels thought to be Auburn’s biggest competition dow the stretch.